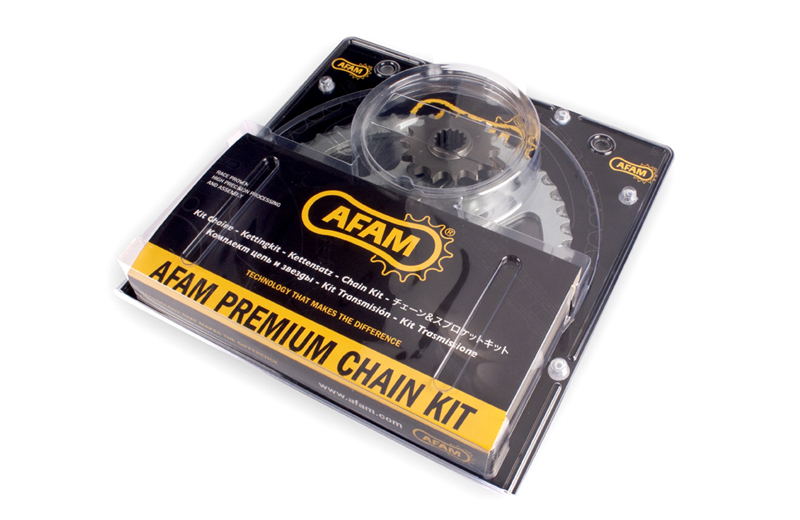 AFAM Chan Kits - Chains & Sprockets perfectly adapted to each other. AFAM chains and sprockets are perfectly adapted to each other. We manage both elements and have the tolerances adjusted to each other so that the combination is a perfect transmission. Less initial wear, less noise, less losses mean more mileage, more comfort and a more efficient transmission. This makes the AFAM Chain Kit your best choice for which motorcycle whatsoever. Your road bike, your sports bike, your off-road bike, your racing bike or your ATV, AFAM has it all. AFAM is the right choice with the correct chain quality adapted to your motorcycle.